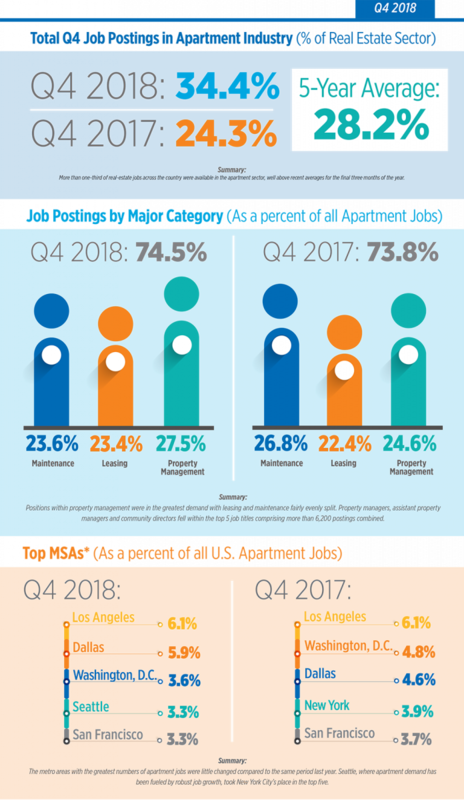 The apartment industry labor market held its momentum through the final three months of the year. Representing over 34 percent of job openings in the real estate sector, demand levels were well above the recent average of 28.2 percent for this quarter. 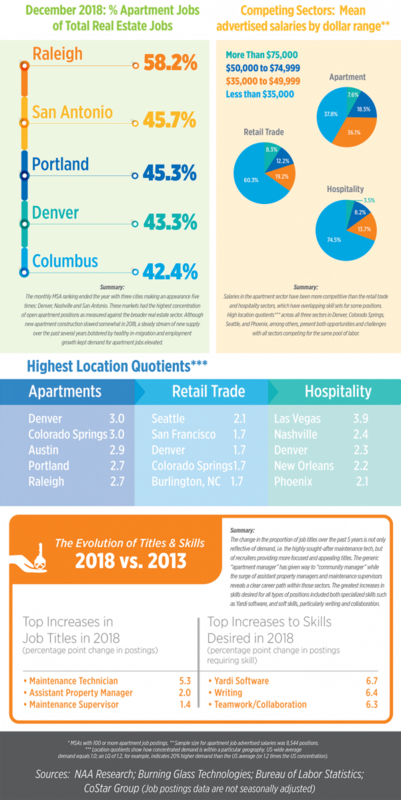 West coast markets Los Angeles, Seattle and San Francisco dominated the top cities for apartment job demand in terms of the sheer number of available positions while Denver and Colorado Springs had the highest location quotients, meaning demand in these markets was three times the U.S. average.